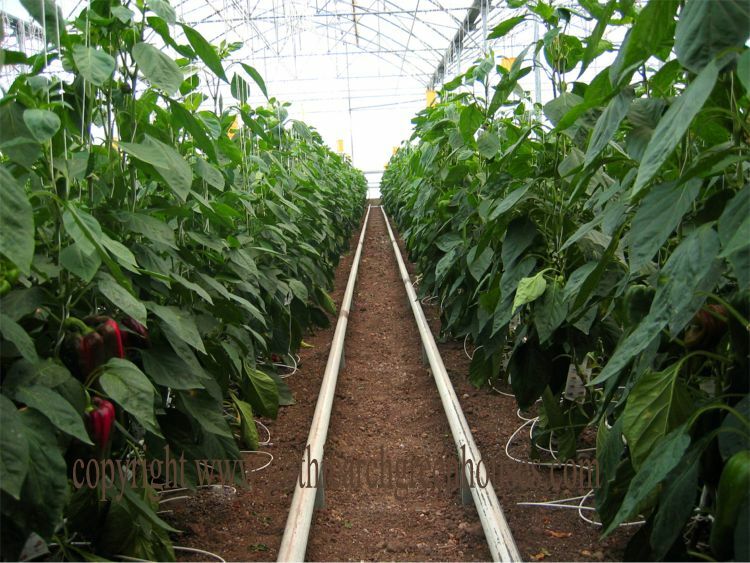 Our Super-Mart greenhouse is designed for lawn and garden retailers who are ready to take their business to the next level. 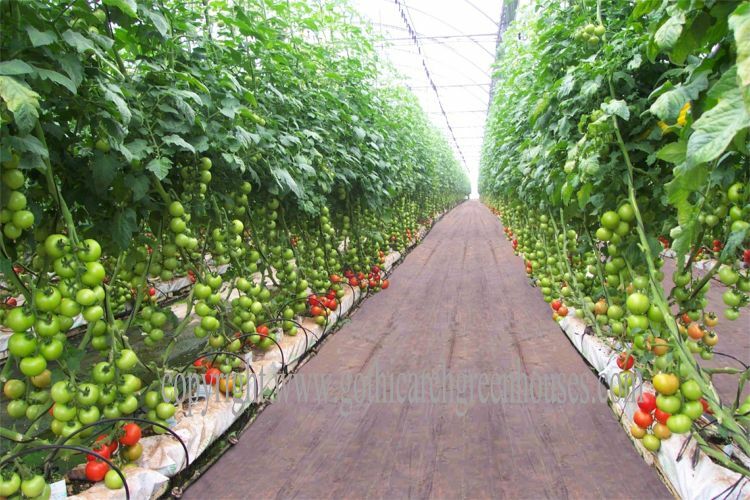 Designed to provide you with construction efficiency and years of durability, our Super-Mart greenhouse can help you increase the value of your business and improve your sales. Variable widths up to 42' to satisfy your project needs. 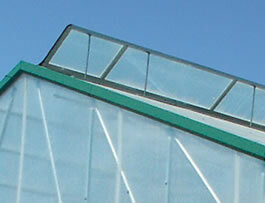 Ridge vents, side vents, or fan & louver ventilation. 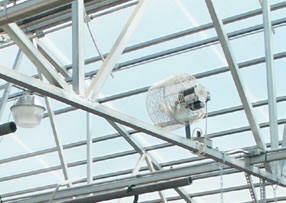 Add versatile side vents to keep your customers and plants in the ideal environment. Chimney effect vents out highest point to maintain consistent interior temperatures. Trusses come pre-welded and assembled from the factory to insure uniform strength and quick construction of your Super-Mart. 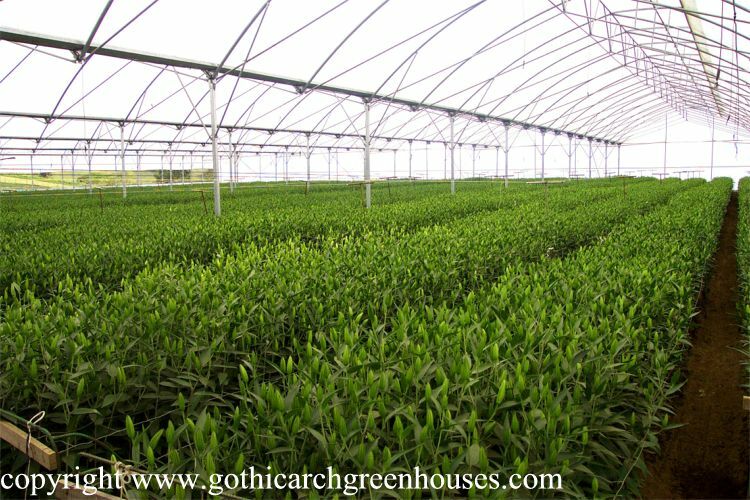 Saves on construction costs and guarantees a stronger greenhouse. We'll work with your architect or contractor to customize your Super-Mart. 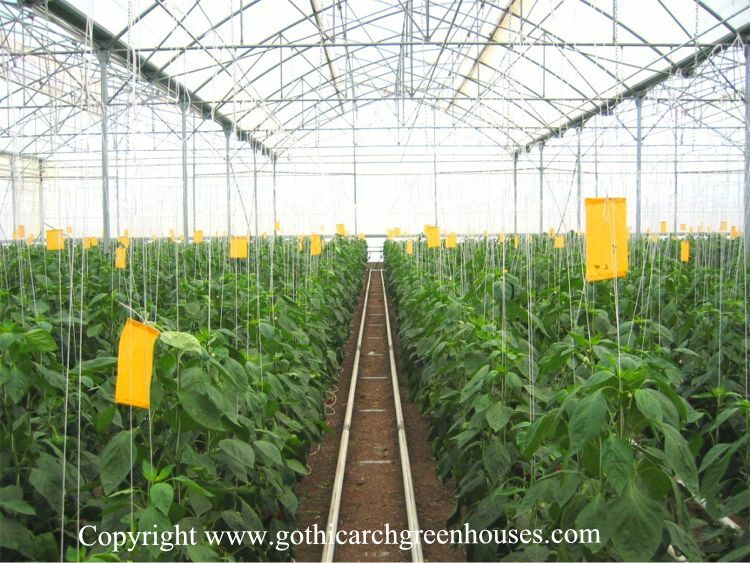 Whether you want your greenhouse to stand out from the competition or want it to match your current store, the Super-Mart will work for you. You can order your Super-Mart with a multitude of different doors for customer flow and ventilation. Choose from swinging or sliding, horizontal BI-fold and even roll-up garage style. Wide interior spans allow easy customer movement and exact sizing for your specific needs. 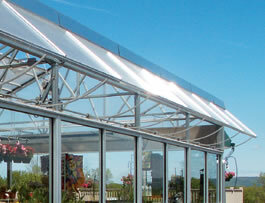 The Super-Mart can be constructed as a freestanding unit or gutter connected to additional Super-Marts. It can also be gutter connected to existing buildings. Meets or exceeds the International Building Code (IBC). International Code Council.